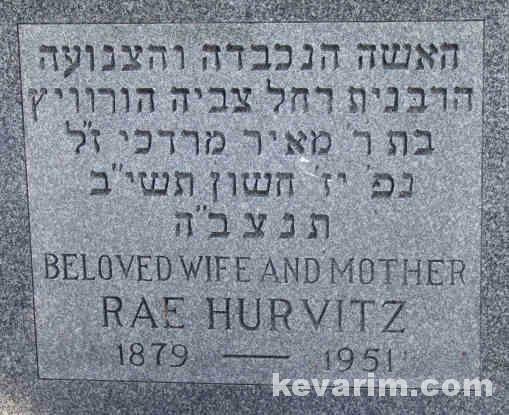 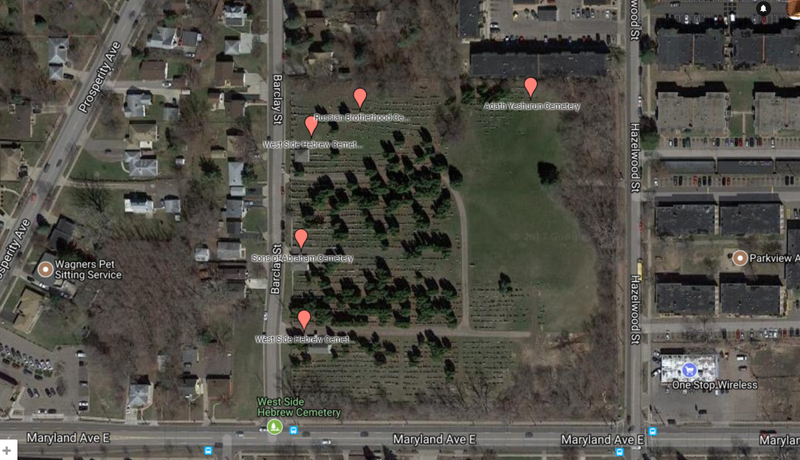 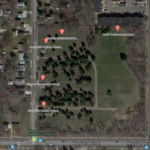 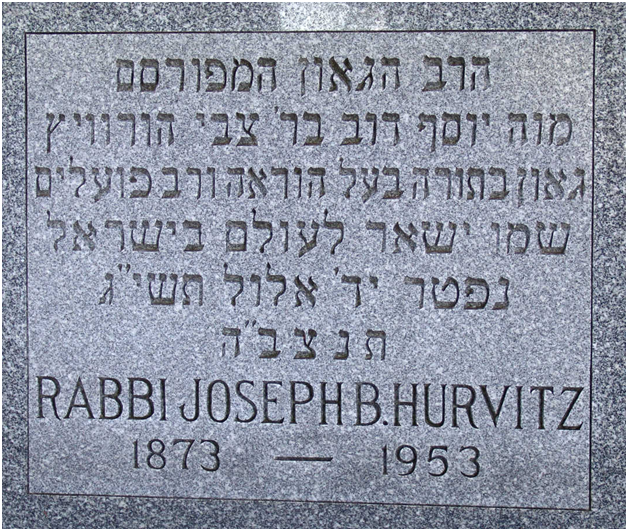 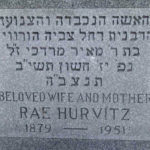 Name Listed on Cemetery Database: Name listed on marker: Rabbi Joseph B. Hurvitz. 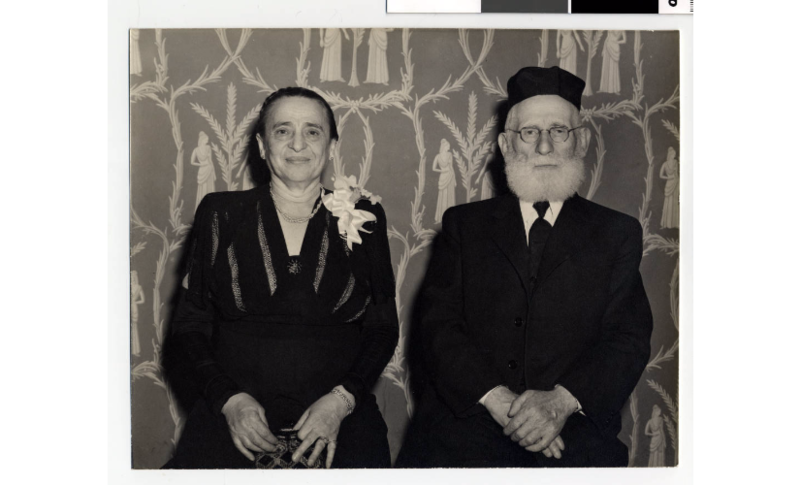 Description: Portrait photograph of Rabbi Joseph Hurvitz and his wife, Rebbetzin Rae Hurvitz. 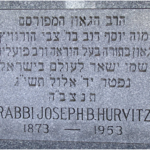 Known in his St. Paul Lowertown community as “Der Roiter Rov” (the Red Rabbi), Rabbi Hurvitz lead the Sons of Jacob and Adath Yeshurun congregations from the 1910s through the 1950s. 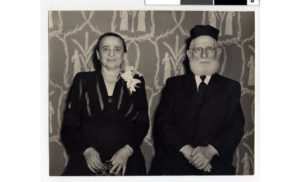 Though he was a traditionalist, he consciously used both English and Yiddish in worship and congregational gatherings to help validate his immigrant congregants sense that both languages and the cultures they represented were of equal importance in their new home.